Chicken boil with seasonings and salt, cut into pieces and slightly fry is the first layer. Thengrease it with mayonnaise and spread the chopped mushrooms. Coat with mayonnaise. The next layer — finely chopped carrot. 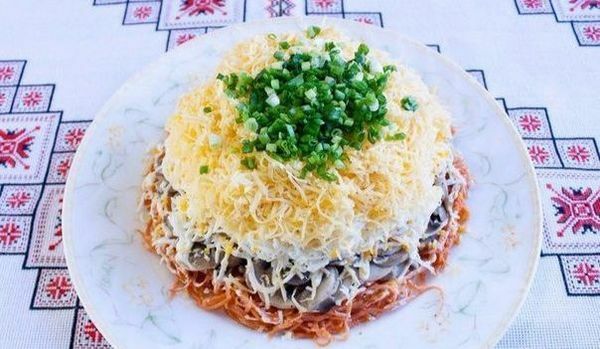 After the mayonnaise is a layer of sliced or grated eggs.Mayonnaise. 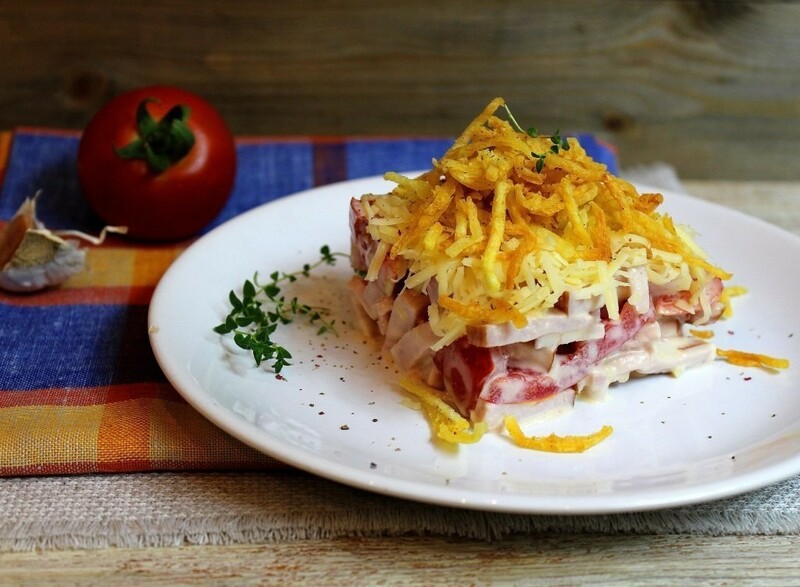 A final layer of grated cheese. Coat with mayonnaise. Decorate the salad.